Marty and I made this Carrot Cake for the Dutch Oven Potluck. The truth is, Alex’s Pineapple Upside Down Cake was better. This is the second time we’ve made this one, and we’re still perfecting it. It was actually better the first time, burned a bit on the bottom this time, so be sure not to use too much bottom heat. But this is a wonderful, fragrant cake, so we haven’t given up. Bake for 40 minutes and enjoy. Great with whipped cream or cream cheese frosting! 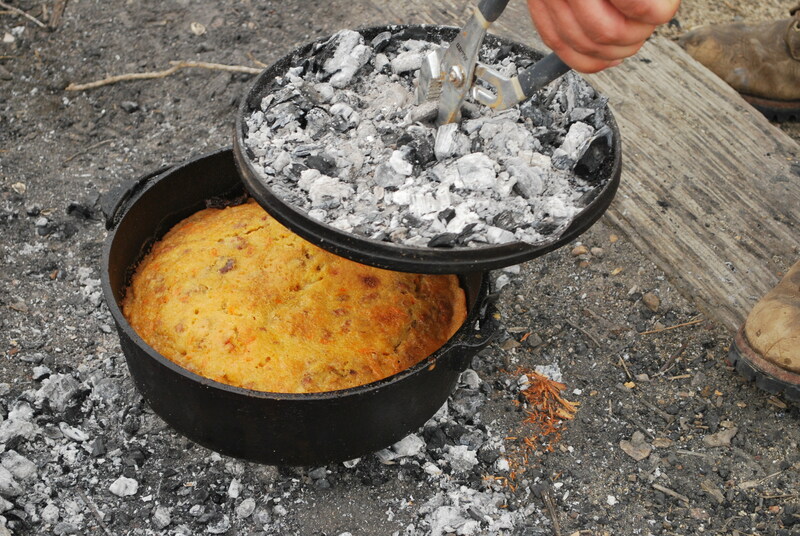 Tags: baking, Carrot Cake, dessert, dutch oven, outdoor cooking, sourdough. Bookmark the permalink. Previous post ← Dutch Oven Pineapple Upside Down Cake!